Since the last few decades, Naroda, a real-estate hub in Ahmedabad, has turned out to be a promising destination for investors. Located in the Gandhinagar-Ahmedabad-Vadodara (GAV) corridor, the place has witnessed tremendous development since the 1980’s. The key reason behind the tremendous popularity of property in Naroda Ahmedabad is due to its close proximity to the Ahmedabad International Airport. It hosts a vast array of facilities for the apartment owners. Besides, the area is fast emerging as a business hub, as companies are investing more in Ahmedabad. The residential property in Naroda has a number of reasons to impress home buyers. The area is witnessing growth and is expected to see an excellent development of infrastructure over the next few years. It is an attractive market for home buyers and investors. The area has a number of flats available at affordable prices in the area. The investors have the opportunity to pick the desired apartments, which are expected to give excellent returns over the next few years. Easy access from the roadways close by makes it an ideal place for real estate investors. People buying flats in Naroda enjoy the access to SP Ring Road, besides the airport. Trouble-free transportation is another reason why people are increasingly moving to Naroda. The area is well-connected to surrounding areas as well as the rest of Ahmedabad. Investors interested in purchasing luxury property have the right opportunity to get their dream home in Naroda at a very affordable price. The apartments in Naroda have all the amenities needed for a comfortable lifestyle. The projects in Naroda have a number of facilities to meet the needs of different home buyers. The area provides an excellent investment opportunity. 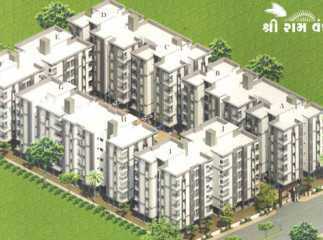 There are a number of real estate projects in Naroda which are affordably priced. Buyers will be able to get the best amenities at affordable prices in the area. One of the popular projects in the area is Maruti Shree Ran Vandan, which has a number of apartments in affordable pricing. The apartments available in Naroda come with all amenities needed to maintain a relaxed lifestyle. There is 24/7 power backup, continuous water supply, and manned security. You will come across a vast array of leisure and relaxation facilities in the properties in Naroda. These include a clubhouse, kids’ play-area, meditation centre, swimming pool, gym, and a multipurpose hall. People can also avail enough sports facilities, car parking area, lift, video security, and much more. A number of schools, educational institutes, etc. are coming up in the area. If you are willing to invest in an upcoming project in Naroda Ahmedabad, this is the best time for you. The upcoming projects present limitless possibilities for homeowners and investors. The area is still in developing stage due to which the property prices are still affordable in Naroda. Over the next few years, investing in property in Naroda will give good returns.